Eldrid Arntzen, the daughter of Norwegian immigrants, grew up in a large Norwegian community in the Bay Ridge section of Brooklyn. “Everything was Norwegian — the churches, the newspaper, the butcher, the baker, the fish store,” she told NEA interviewer Mary Eckstein. 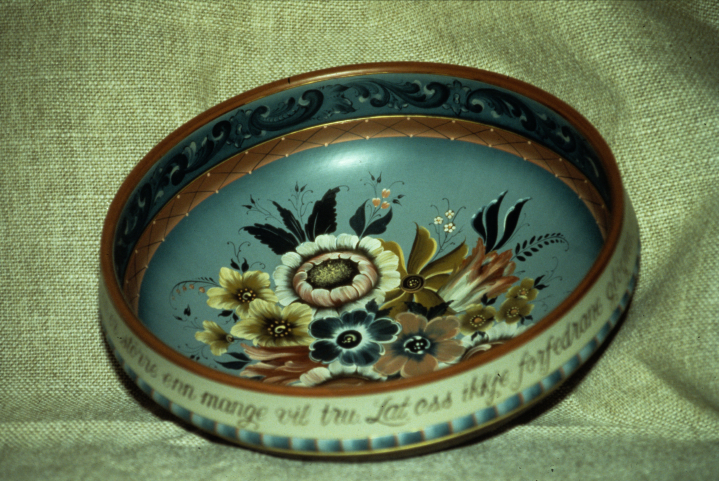 However, as a child she had little exposure to rosemaling, a traditional form of painting that flourished in Norway in the sixteenth and seventeenth centuries. 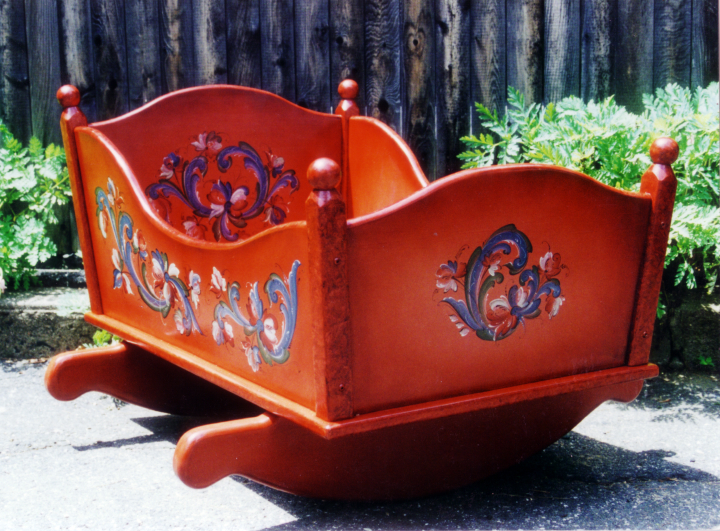 This form of decoration was used on wooden objects in homes and churches and was brought to North America by immigrants. 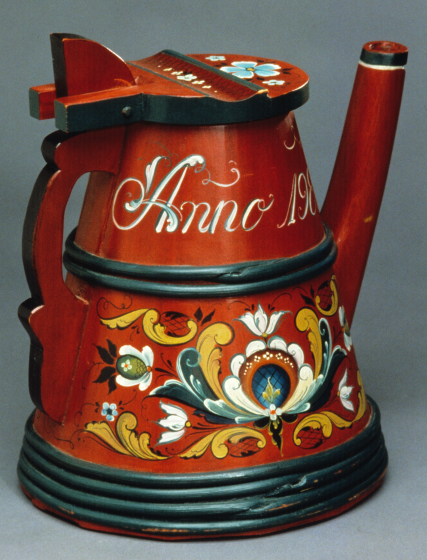 Arntzen showed an early aptitude for art and, at the suggestion of a teacher, was enrolled in lessons when she was 10. 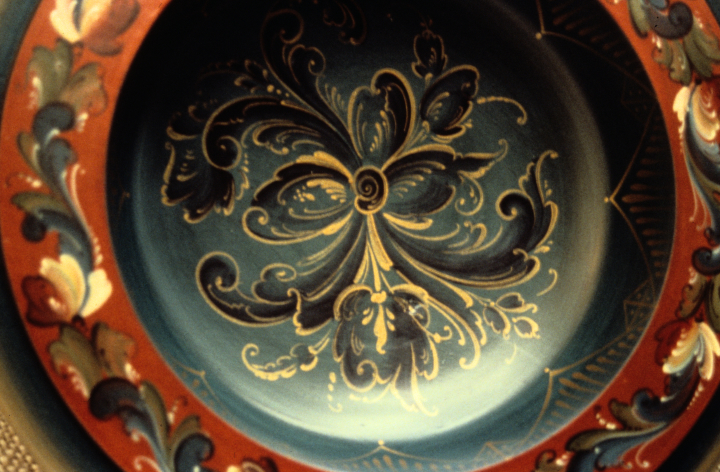 After being exposed to photographs of rosemaling around 1961, she decided to give it a try. 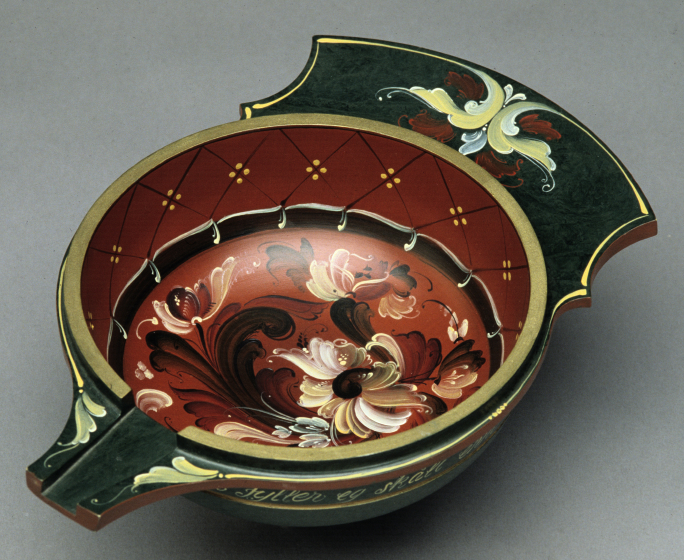 Arntzen found the art form very difficult and frustrating to master. 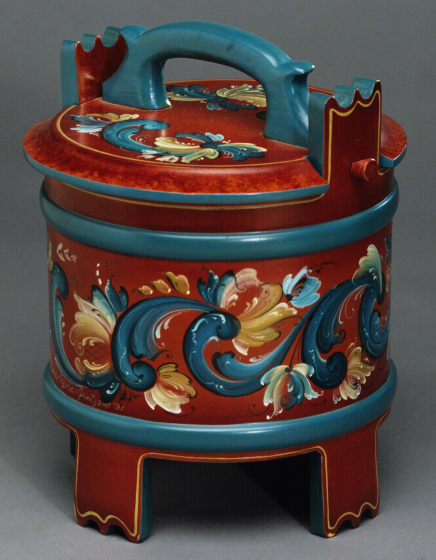 After marrying and moving to Watertown, Connecticut, she joined a rosemaling society and attended classes. 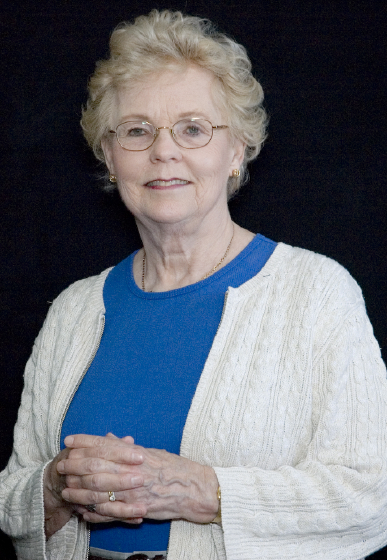 Though her time was limited by raising three children, she continued to practice and to educate herself. 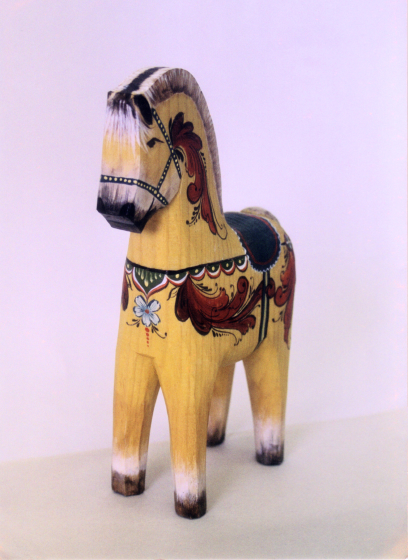 In 1979, after her children were grown, she and her husband took a long-awaited trip to Decorah, Iowa, home of the Vesterheim Norwegian-American Museum. Inspired, she traveled the following year to Rauland, Norway, where she spent three weeks studying at an arts and crafts academy. She has returned regularly. 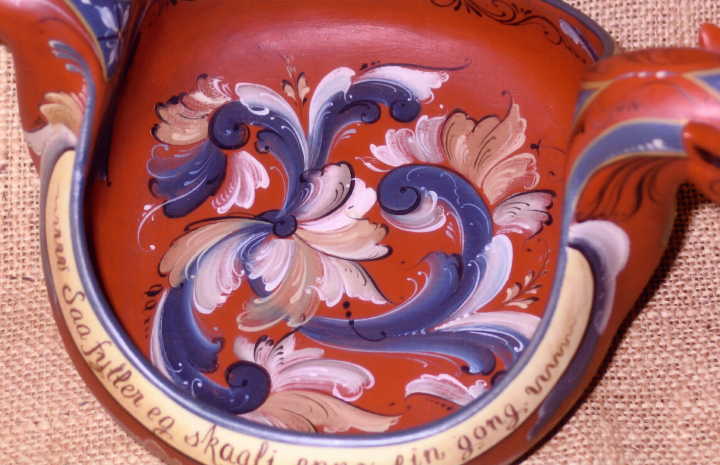 Arntzen is adept in many styles of rosemaling and often paints on household objects such as ale bowls, tankards, chairs and trays. 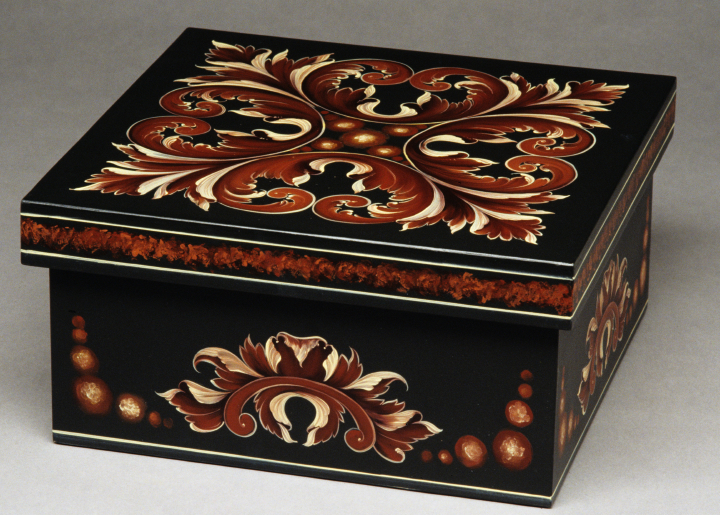 “I've been told that my rosemaling looks very feminine,” she said. "I love to do the detail embellishment, which can get very fine. 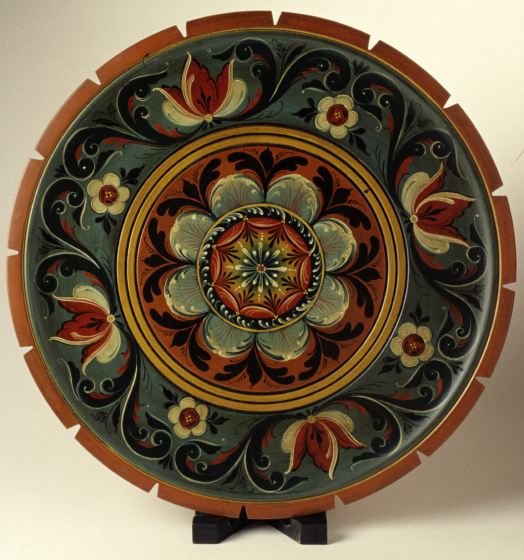 I like to embellish within the scrolls, within the flowers, and then coming out of those things.” She stresses that even someone with a background in art should take lessons in rosemaling because it is so demanding. 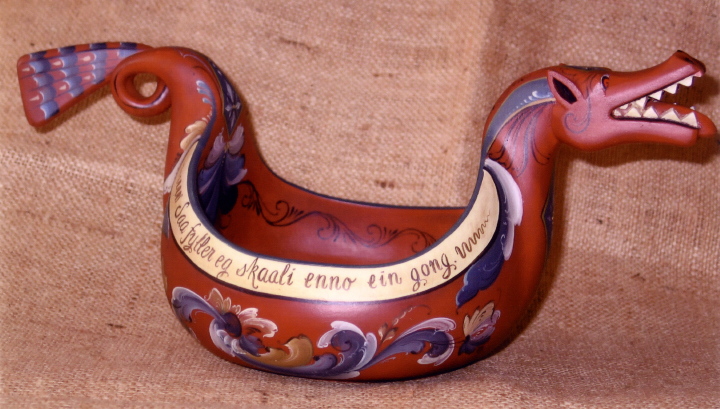 Arntzen, Eldrid Skjold. 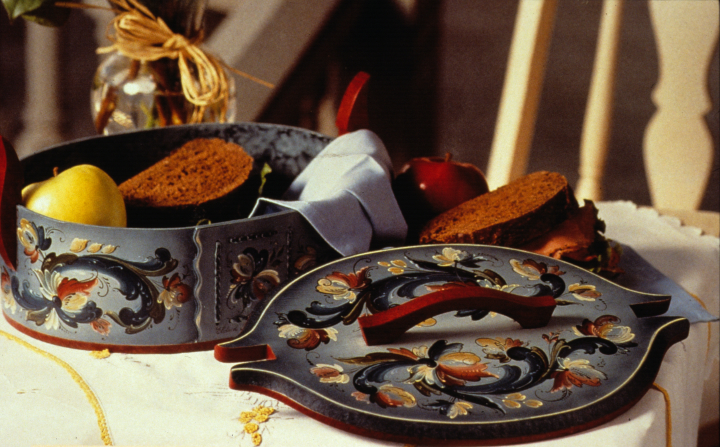 “Tine Time.” The Decorative Painter (1994). 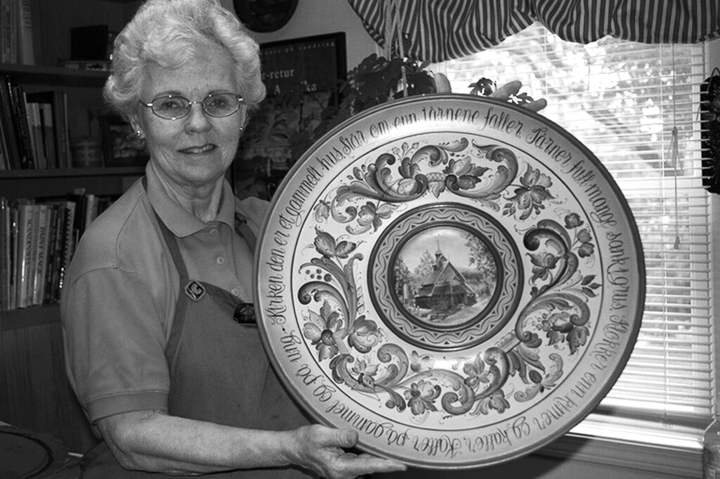 “Connecticut Rosemaler Receives National Award.” Towntimes.com: the online edition of Town Times (accessed July 2005). Hefte, Sarah. “Norse Artisans.” Viking (April 1992). Mulvihill, Amy. “Keeping Tradition Alive.” CountyTimes.com: Web site of the Litchfield County Times (accessed July 2005). Roren, Tom. “Eldrid Arntzen Has Become a Living Legend.” Norway Times (October 1994). Rousseau, Barbara. 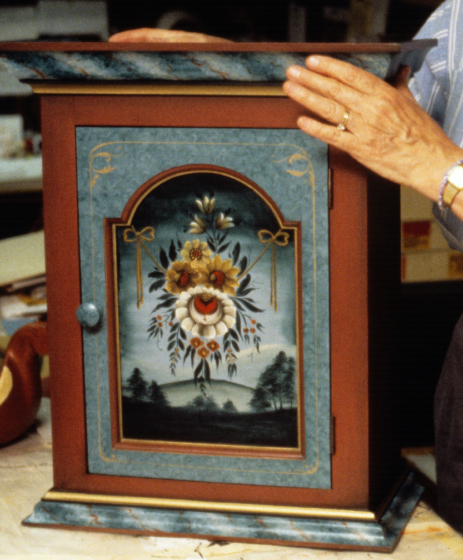 “Norwegian Nostalgia: Woman Revives Unique Art of Rosemaling.” GRIT: America’s Family Publication (April 1986). 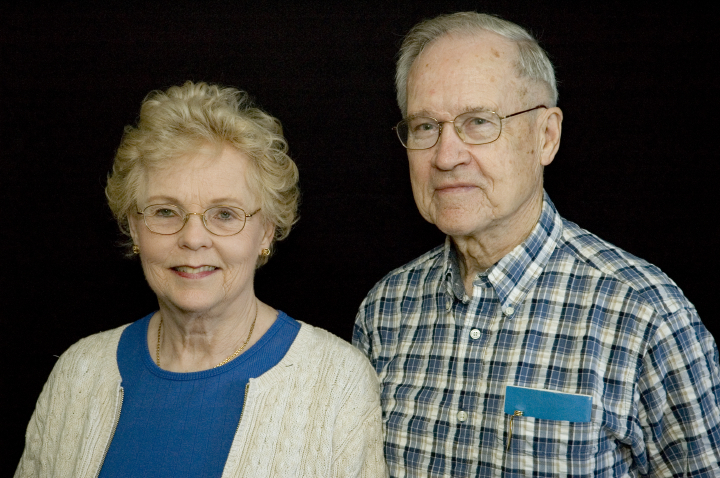 Williamson, Lynne, ed. 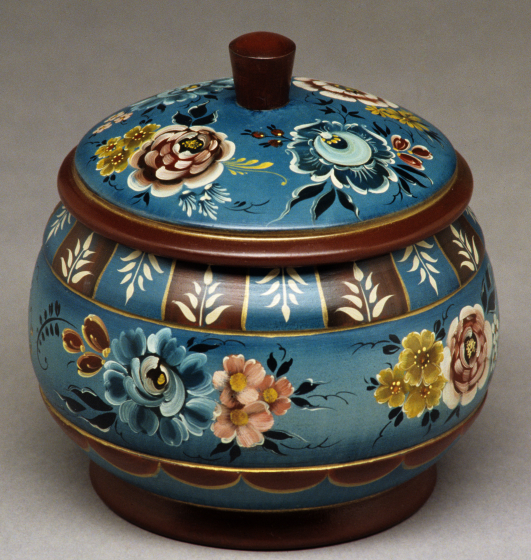 “Living Legends: Connecticut Master Traditional Artists.” Institute for Community Research Connecticut Cultural Heritage Arts Program, exhibition catalogue, 1994.